For many runners who started running in high school or college, fall = cross country. But once you become a full-fledged adult, there just aren’t as many opportunities to participate in this type of race. However, we recently learned about a race that will make you want to dig out your old spikes. 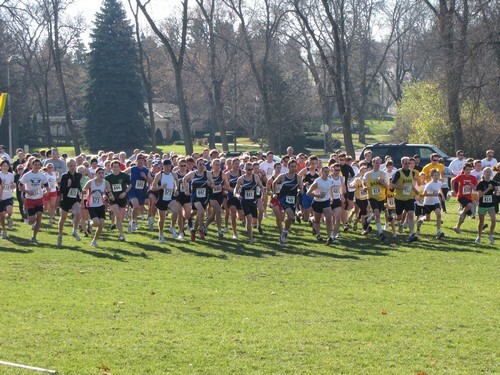 Wisconsin Lutheran College is hosting the Warrior 5k – a cross country race featuring a course that’s been the site for three collegiate championship meets! We recently got the inside scoop from Adam Trausch, assistant for the cross country/ track programs at Wisconsin Lutheran College. For more information about the Warrior 5k, see our Featured Races page. 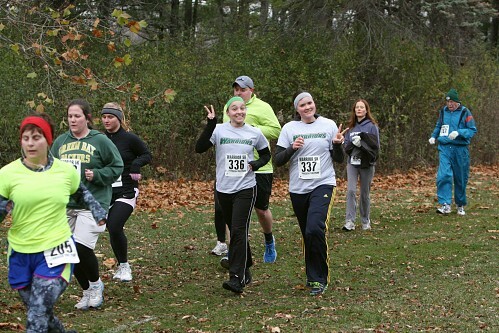 The Warrior 5k is a trail run through Greenfield Park in early November and is scored by teams of four. It is a cross country-style race. Our reasoning is to provide a race for high school athletes after their cross country season as well as bring out groups from around the community as a fundraiser for the Wisconsin Lutheran College Cross Country teams. How will the awards work for this race? The top overall male and female runners, as well as the top two teams in each division, will be presented with awards. This event is team-focused and runners are encouraged to register as a team. Points will be assigned to each runner based on their overall finish (i.e., 1st place receives one point, 2nd place two points, etc.). Teams with the lowest number of combined points in each division will be the winners. What is the course like and do you have any tips for runners training for the race? The Greenfield Park cross country course is a familiar one for many local runners. The course begins on the southwest corner of the park with a gradual incline toward the north. The course then winds back toward the start line on trails through a small line of trees. It continues along the service road, where the first mile is at the back end of the parking lot. The course continues through the woods on rolling trails with mile two at a fork in the path. The final 1.2 miles is a near replica of the first, featuring plenty of open space for movement. Overall, the course is rolling with occasional rough footing in the woods, but a picturesque course nonetheless, especially in the fall. It was the site of the 2000 Wisconsin State Private College Championship, as well as the 2000 & 2005 Lake Michigan Conference Championship meet. A great point to keep in mind: Make sure to run on trails and grass in preparation for this event. Included with registration is a Warrior 5k is a t-shirt, a race-day packet, post-race festivities with Topper’s Topperstix, bagels, bananas, along with individual and team awards and door prizes! There will also be a short 800 meter kids race following the 5k and walk events. This year’s race is promising to be one of the largest participant fields in its 10-year history, and as a result, will bring a wide range of competition fields individually and in each team division. This entry was posted in Race Previews and tagged Race Previews, Running in MKE, Upcoming Events, Warrior 5k. Bookmark the permalink.